I took a picture of my self and then i traced it out on adobe photoshop. 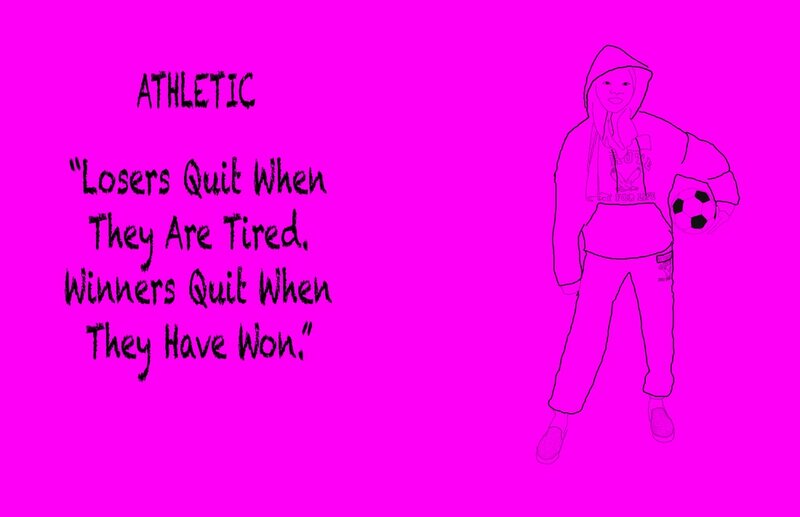 I pick this adjective because i only quit when i win a soccer game. i did this pose because that is how it looks when you are holding a soccer ball. I decided to do this project because people have been stereotyping me because I am Muslim. One of the things people in the media and others who see me wearing a headscarf outside of school have said is that I'm a terrorist. Some extremist muslims from other countries don't follow Muslim law and are violent but they do not represent the entire Muslim religion. The Muslim religion preaches peace and it's not fair to say that all Muslims are one thing, since each person is an individual. To speak back to this stereotype, I decided to hold a sign saying "Not all muslims are terrorists." I chose this comeback because I want people to know that I'm a good person and I'm not a terrorist. 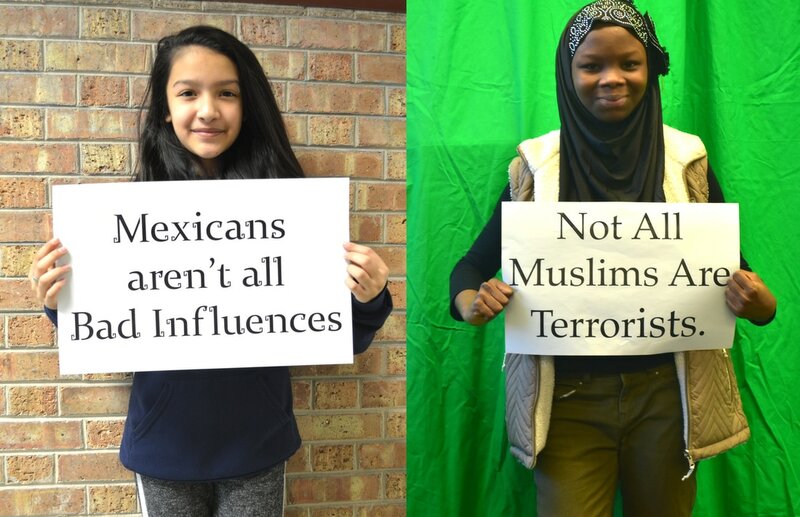 After I made my sign, my friend Citlali also wanted to talk about stereotypes that she has experienced as a Mexican. She wrote "Mexicans aren't all bad influences" because she wanted people to know that she is not a drug dealer, a bad influence, or a criminal. I am proud of my project because I hope people will treat me and Citlali with more respect and understanding about our struggles as a Muslim and a Mexican in the United States.